When it comes to campaign fundraising and spending, Sen. Patrick Leahy (D-Vt.) and Republican rival Scott Milne aren't even in the same league. 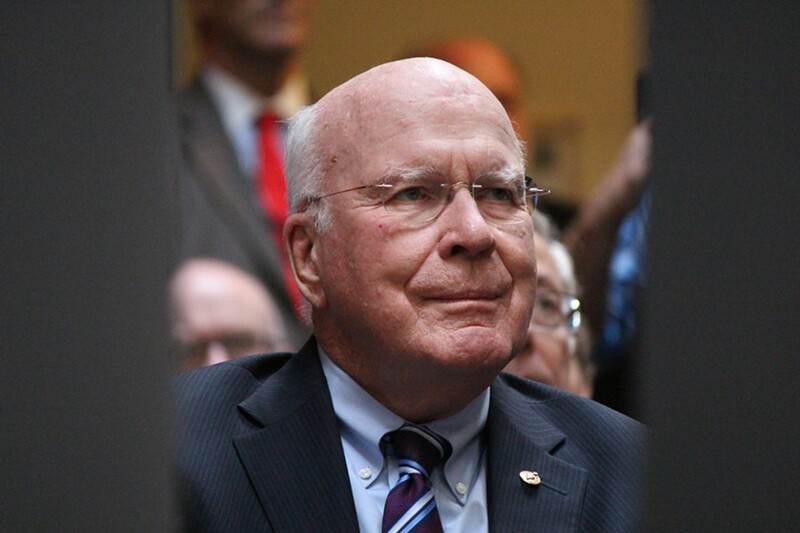 New disclosures filed late last week with the Federal Election Commission show that Leahy, a 42-year incumbent, raised more than $445,000 in the two and a half months ending September 30. He collected another $55,000 in that period through a leadership political action committee called Green Mountain PAC. Milne, a Pomfret businessman, raised just $57,000 from donors during the three months ending September 30 — and contributed another $12,000 of his own cash to his long-shot bid. Since winning his last six-year term, Leahy has raised more than $4.67 million through his main campaign account, his latest filing shows. 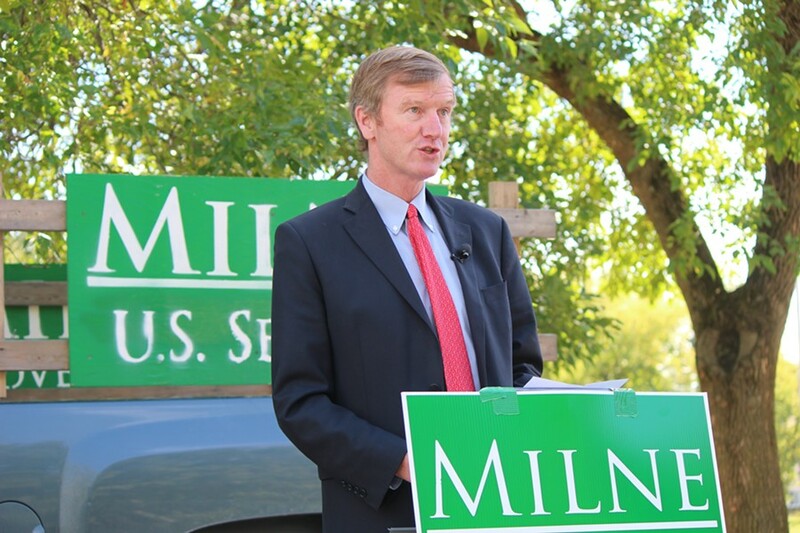 Milne, meanwhile, has collected just $74,000 — including $17,000 of his own money — since joining the race last May. In the lead-up to next month's election, Leahy has been drawing down some of his reserves. The incumbent Democrat spent nearly $649,000 in the most recent reporting period, roughly $297,000 of which went toward television advertising produced by the Philadelphia firm Shorr Johnson Magnus. Milne, who has no paid staff, spent a mere $35,000. With three weeks left before voters go to the polls, Leahy has $2.95 million available in his campaign account, while Milne has just $34,000. In the latest period, Leahy raised $158,500, or roughly 36 percent of his contributions, from political action committees. His biggest supporters included PACs associated with Bank of America ($5,000), Directors Guild of America ($5,000), General Electric ($5,000), Delta Air Lines ($5,000), National Association of Realtors ($5,000), American Crystal Sugar Company ($5,000) and the advocacy group End Citizens United ($5,000). Leahy's Green Mountain PAC took another $26,500, or half of its haul, from other PACs. Those included Google ($5,000), National Beer Wholesalers Association ($5,000), Sheet Metal Workers' International Association ($5,000), and Wine and Spirits Wholesalers of America ($5,000). Milne took no money from PACs. Instead, he raised the bulk of his campaign funds from three out-of-state families: $21,600 from the Sutton family of Arizona; $16,200 from the Boies family of Florida; and $5,400 from John Edwards III of California. All three are longtime friends of the candidate's, according to his campaign manager and daughter, Elise Milne. David Boies III, who personally donated $5,400, is also a business partner of Milne's and contributed significant sums of money to the candidate's unsuccessful 2014 run for governor. Neither candidate raised much money from Vermonters. In the most recent period, Leahy collected just $30,700 from those living in the Green Mountain State, or 7 percent of his haul. He took more from individual contributors living in California ($54,083), New York ($43,353) and Texas ($38,093). Including PAC money, $119,092 of Leahy's donations — or 27 percent — came from Washington, D.C. Excluding the money Milne donated to his own campaign, the Pomfret Republican raised just $9,069 from Vermonters. That amounted to 16 percent of his total.